Vernetta ‘Sue’ Mae Butler, age 92 of Lamberton, MN, died on October 6, 2018, at Ava’s House in Sioux Falls, SD. Visitation will be on Saturday, October 13, 2018 from 12:00 pm to 1:00 pm at the Our Savior’s Lutheran Church in Lamberton. Service will be held at the Our Savior’s Lutheran Church in Lamberton on Saturday, October 13, 2018 at 1:00 pm. The clergy will be Pastor Mark Jamison. Inurnment will be at the Lamberton Cemetery. Arrangements are with the Sturm Funeral Home in Lamberton. Urn Bearers are her grandchildren Chad Steinhauser, Leah Rollag, Jared Peterreins, Jon Peterreins, Jacob Peterreins, Daniel Butler and Laura Albertson.Honorary Urn Bearers are all of her Bridge card players. Vernetta Mae Kolander was born on February 24, 1926 to Emil and Erna (Bauer) Kolander in Heron Lake Township, Jackson County, Jackson, MN. She was baptized and confirmed in the St. Petersburg Lutheran Church. At the age of 12 her brother Reuel nicknamed her “Susie” and she was called by her nickname, until as an adult, she changed her nickname to “Sue”. She was a graduate of Jackson High School in 1944 and in 1945 began working at the Farmers & Merchants State Bank in Lamberton, employed there for 33 years. Sue was most recently employed at the City Drug in Lamberton, retiring at the age of 80. She was united in marriage to Kenneth (Pat) Butler on November 2, 1948. They were blessed with three children: Judith, Patricia and Robert. 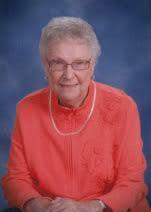 Sue was active in community affairs and organizations such as American Legion Auxiliary and Lamberton Reading Club. She held offices in the Federated Women’s Club on the local, county and district levels. She enjoyed her family, working with people, playing Bridge, dancing, bowling and golfing, reminding her family that she had a “hole in one”. She will be sadly missed by her constant companion these past 13 years, her dog Cocoa. Preceding her in death were her husband Kenneth (Pat) on June 15, 2005, her parents Emil and Erna, and eight siblings Clara Koep, Lillian Hacklander, Melvin Kolander, Ebertina Ringgenberg, Myrtle Kolander, Evelyn Schaar, Ethel Borst and Reuel Kolander.She is survived by her children Judith (Thomas) Ary, Patricia (Michael) Peterreins, Robert (Kristi) Butler, seven grandchildren and their spouses, nineteen great grandchildren and her precious nieces and nephews. Memorials will be directed with heartfelt gratitude in Vernetta (Sue) Butler’s name to Ava’s House, 1302 17th Street, Sioux Falls, SD.